St Felix Church of England Voluntary Controlled (CEVC) Middle School is located in the Suffolk town of Newmarket. 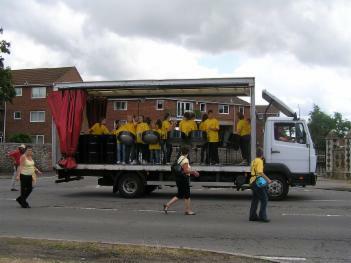 The school’s music teacher, Ms Botwright, learnt to play steel pans in a band during her teacher-training. She brought the band to St Felix whilst on teaching practice there and the school was keen to invest in a set of pans once she came to work there as a permanent teacher. 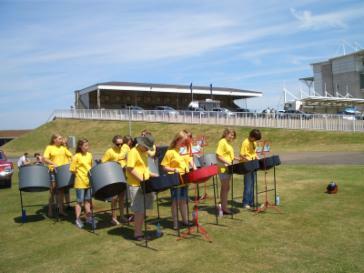 Steel bands offer many pupils the opportunity to play a musical instrument, as well as collaborating in a group. There are lots of opportunities during the school year when the pans are used in curriculum work as well as frequent public performances in school and also in the surrounding community. Rehearsals take place on Monday and Tuesday lunchtimes for 30 minutes and Thursday after school for one hour under the direction of Ms Botwright. Pantastix have recently performed at weddings, school concerts, seasonal fairs and at a Suffolk Show near Ipswich. Pantastix! is the year 8 band that performs in public. 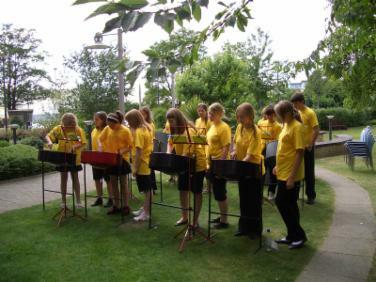 There are sixteen pupils in the band, two to a pan, and they learn quickly to swap over during songs. Pantastix! 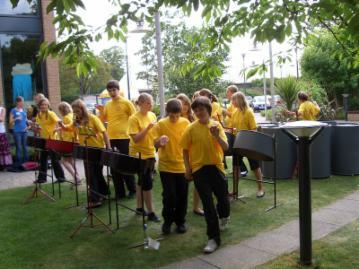 'training band' is the year 7 band. Pupils attend voluntarily to decide whether they would like to be in the older group. Most stay on! Lots of ex-pupils (pupils who leave after year 8 as it is a middle school) come back to visit rehearsals and turn up to support Pantastix at performances. 'We practice a lot in our free time which means we know the pans well and can overcome problems in order learning pieces quickly'. 'We've all got our own favourite pans to play'. Information and images supplied to My Panyard by St Felix CEVC Middle School.